Today I am back with another great product from one of my personal favorite skin care lines,Valentia. 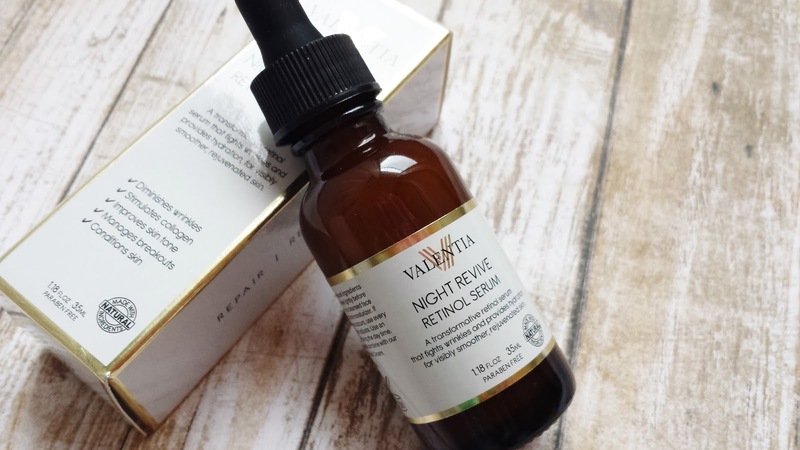 I recently had the chance to review their new Night Revive Retinol Serum and again, I fell in love. I have had the chance to try quite a few of Valentia's products (all via Brandbacker) and I love the line for so many reasons. 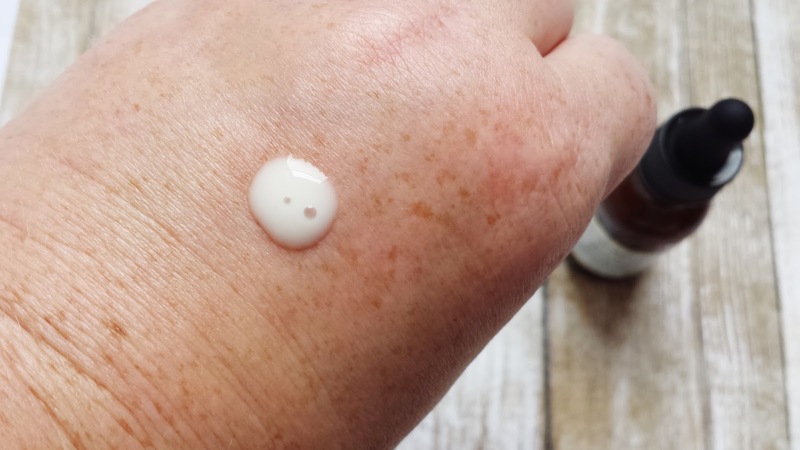 Valentia relies on all natural ingredients due to their protective, preventative and corrective powers, and all of their products have been formulated with natural and organic cosmetic ingredients that will repair and protect the skin. Why do they do this? Well, after performing extensive research into what skin care customers find most important, Valentia found an overwhelming demand for skin care that is natural, free of toxins and paraben-free. Therefore, ALL of their products are alcohol free, paraben free, cruelty free, and the ingredients are specially selected to work together to achieve optimum results. A transformative retinol serum that fights wrinkles and provides hydration, for visibly smoother, rejuvenated skin. Skincare is essential to me, and since turning 30, I had been looking for a product that helps with anti-aging/wrinkles, because frankly, I would like to look like Christie Brinkly does in her 60s. So instead of having to do some plastic surgery later in my life, I have become interested in products with retinol. 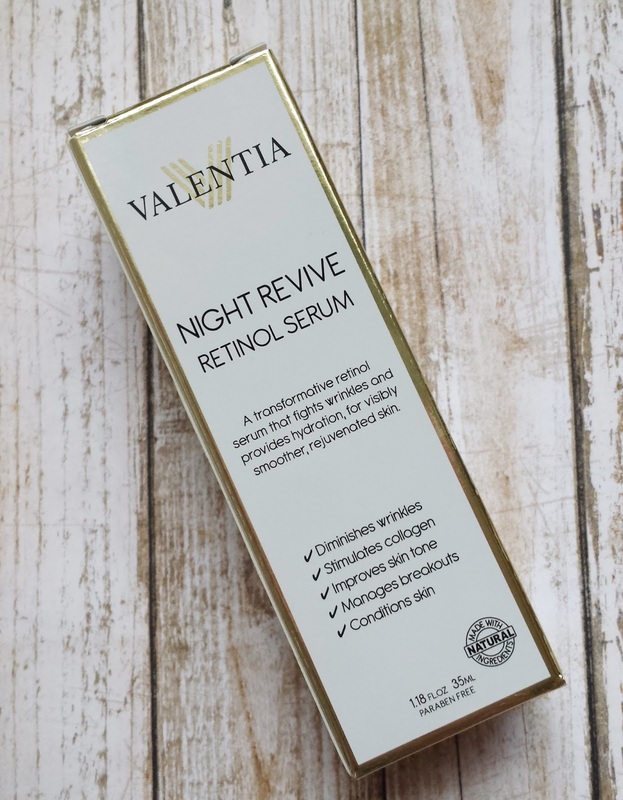 After having some difficulties (aka skin reactions) with different products, I was enthralled to have tried the Valentia Retinol serum. I chose to try it because after trying several of their products, I knew that I wasn't going to have a reaction. After using the Retinol serum for about a month, I am happy to report that a) I haven't had a reaction, and b) I didn't get the normal period breakout that I get every month. I love that the serum really didn't have a smell, and was VERY hydrating to my face. I don't have any wrinkles, so I can't really report on that, but I can tell you that my face feels amazing! On another note, I love that all Valentia products come in a brown bottle- which as I'm told, brown bottles help keep the light out, and preserve the freshness of the product. And be sure to go visit Valentia on Instagram & Facebook! Have you ever used any Valentia products? Disclosure: This is a Sponsored Post. 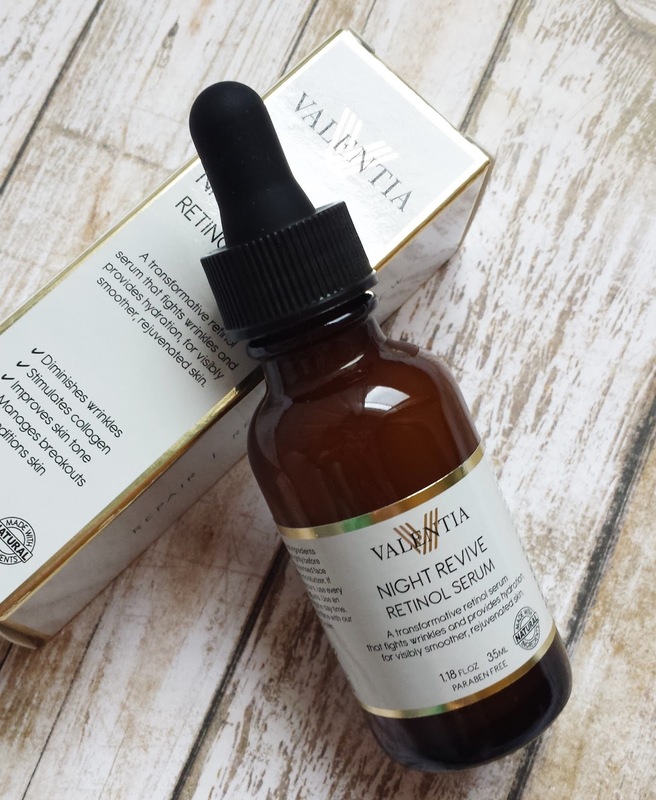 I was given the Valentia Night Revive Retinol Serum shown in the photos above via Brandbacker in exchange for an honest review. The opinions I have expressed in this post are 100% my own.